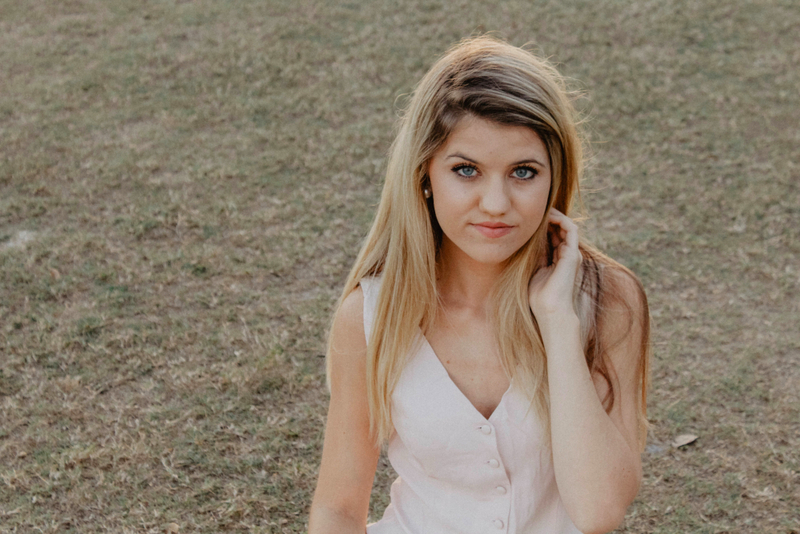 On July 27, Montana Modderman releases her debut single, “Didn’t Mean To.” We caught up with her on the eve of her big day to talk about her inspirations, her goals, and how she intends to make her mark in the music industry. When did you know that music is your passion? I’ve always loved music. At a very young age, I loved to sing and listen to all kinds of music. It was something I really enjoyed. When I started writing though, that was it. That’s when I knew that this is what I wanted to do for the rest of my life. What made you decide to pursue a career as a singer-songwriter? How would you describe your sound and artistry? What inspires the themes you tackle in your songwriting? I would describe my sound as country with a touch of pop. I do think my sound is a bit unique. My songwriting is a huge part of who I am as an artist. I’m super proud of the fact that I write my own songs. I write a lot about my personal experiences. I write about love, heartbreak, growing up, insecurities, losing loved ones and pretty much anything life throws at me. If I’m feeling it, I’m probably writing about it. Why did you choose to delve into country music? I grew up listening to country music. When I started writing I didn’t consciously decide to make country music, it is just what came naturally. I think country music is so relatable. I heard my story in the songs that country radio played. That is what I want people to feel when they hear my music. I want them to not only listen to my story but to hear their own in the song as well. Faith Hill, Shania Twain, and Taylor Swift are three ladies that come to mind instantly. I grew up listening to these women and watching their careers. They are such phenomenal performers. Their work and the way they carry themselves has inspired me to be completely honest in my songwriting, creative in my musical style and at the end of the day, to trust myself, which is something I’m still working on. Which musicians would you love to collaborate with? I’ve got a very long list of dream collaborations. Taylor Swift is definitely at top of that list. The first song I ever learned to play on guitar was “Tim McGraw.” I would love to write a song with her. That would be such a full circle moment for me. LANCO, Kelsea Ballerini, Jordan Davis, Sam Hunt, and Kacey Musgraves are also on that list! What are your thoughts on the current state of female artists in country music? I am so proud of the ladies in country music. It’s clear that being a female artist in country music is not always easy. The charts show that. Women like Kelsea Ballerini, Maren Morris, Carrie Underwood, Miranda Lambert, Carly Pearce, Lauren Alaina, Danielle Bradbery, Raelynn, and Lindsay Ell — I could go on —are doing amazing things in music. They make me so proud to be a woman in this industry. How do you intend to get more involved in the country music scene? There is a move to Nashville coming in the future! When it comes to country music, Nashville is the place. I’m excited to start writing with other artists and songwriters. I really just want to learn as much as I can. What can you tell us about your debut single, “Didn’t Mean To”? I like to describe “Didn’t Mean To” as an unexpected love song. I wrote it out of a place of being blindsided by my own feelings. When I realized this, I sat down on my living room floor with my guitar and wrote the song. I was very honest. It’s been such a privilege to get to see this song come to life. I am counting down the days till I get to share it with the world. I don’t think I’ve ever been more excited about anything. What are you looking forward to next in your music career? I have a lot of goals. I’m trying really hard right now to just appreciate where I’m at in the journey. I have a tendency to focus so much on the future, that I forget to enjoy the moment I’m in. Releasing my first single is a huge check off the dream board. I ant to see what happens with “Didn’t Mean To” before I let people know about what’s happening next. I can tell you that I’m working on booking shows for this next year and I’m wanting to get an EP out there, hopefully, sooner as opposed to later. Preorder and presave Montana’s debut single “Didn’t Mean To” on iTunes, Apple Music, and Spotify. Follow her on social media on Instagram, Twitter, and Facebook. Previous: Lunar Eclipse 2018: What is Chandra Grahan and how it occurs?